I originally named this “Spring strips”…then re-named it “Summer strips”…and now it’s “Fall strips”. Maybe by the time I finish it, I can call it “Spring strips” again! I’ve wanted to make one of these quilts for a long time. It’s nice and simple but still takes some thought (and some pinning!). 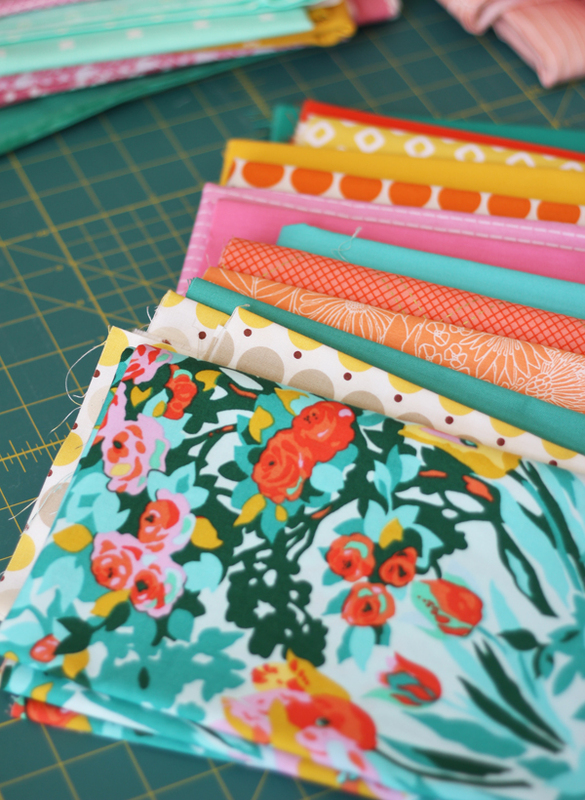 This pattern would work fabulously with pre-cut 2 1/2″ strips, but I cut mine from my stash and a few pieces I bought like the Amy Butler floral. This quilt matches my still-blooming dahlia’s perfectly! My dahlia’s were crazy beautiful this year with the early warm summer we had. I wrote up a tutorial for this one I’ll post in the next day or two. It’s a fun one to make! Ooh, I love this! Can’t wait for the tutorial since I have a jelly roll that has been collecting dust for a long time. I love the colors! What a beautiful quilt. I love this. I love how you chose the colors. Perfect for any season!! What a fun loving quilt. I love the strips and the spring colors. Great quilt, love the colors. The fabrics really do say spring, summer, and fall. Winter not so much, but it would be fun to pull it out in February just to remind spring to come! This is so beautiful, whenever it is done is going to be the right time. Look forward to the tutorial. SUCH special colours! You know I always love your crisp, clean, bright colours .. this one is extra gorgeous. We’re in Spring here in Aus .. and know that Seattle in moving to fall. It’s lovely having an eye on both places! I’m still a long way off quilting again, but you help keep the dream/goal alive with me Allison!! Hate to say this, but it looks like a “string” quilt block quilt to me, which has been around longer than you ( and me @ 73) And some one “needs” a pattern for this ??? And is it “new” because it is shown in “new” fabric ??? Sorry, I am not biting—I have a lot of these all ready in my quilt stock pile……. It is a “string” quilt block Dorothy (except larger strips and not foundation pieced)…I’ve seen many antique versions of this quilt so I made one! I never said I made this block up, or that it was new…so hopefully you didn’t assume that? 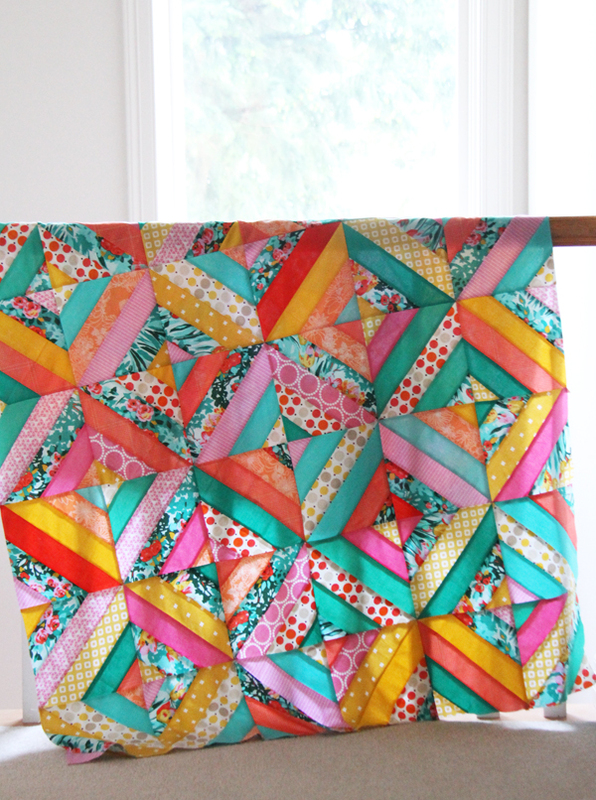 Newer quilters may not know how to make it without a pattern….so I will share a free tutorial for it so they can make their own. 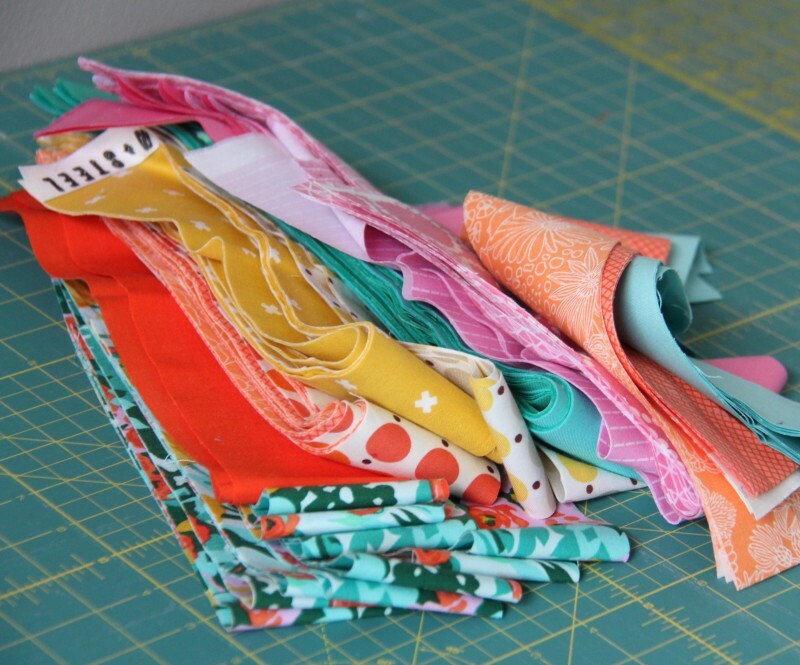 It’s OK to “need” a pattern…even if you are an experienced quilter! :) Thank you for visiting! I love the colors and the layout in this quilt, and it’s new to me, no matter what the other poster had to say about it. Your first picture in front of the window, gives the appearance of stained glass, so pretty. Looking forward to the tutorial!!! It’s always best to remember that, “If you can’t say something nice, then don’t say anything at all”. I LOVE it! Your colors are so happy….and your words crack me up, too. I always like seeing what you are doing! There’s not truly anything new under the sun. But your quilt has a nice fresh look that I like. I can’t wait to see your tutorial. I’m switching as much of my rotary cutting as possible to a die cutter (Big Shot) due to arthritis in my thumb joints. 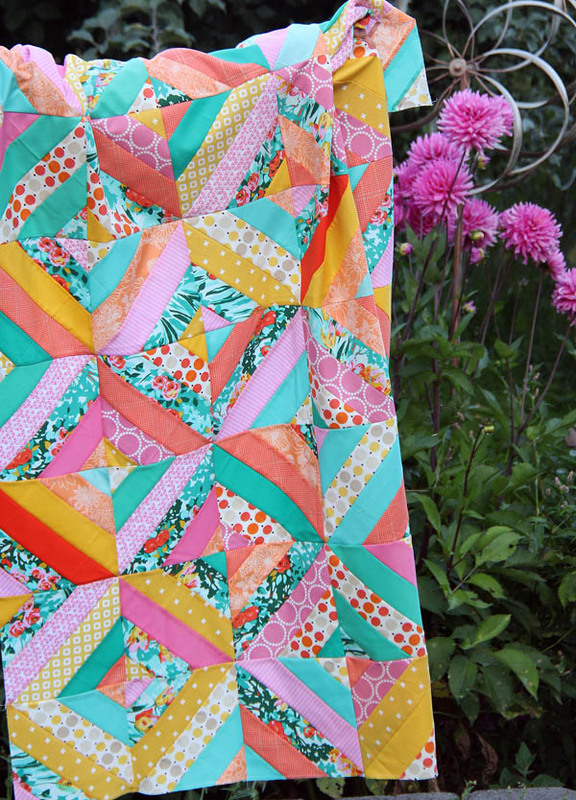 This quilt looks easily adaptable. Another thought; I love the way this photo is staged with the dahlias. So pretty! Ha Ha Ha- I had to chuckle because I have been there so many times myself. I am in the middle of creating something and a name comes to my mind—-but life is life and by the time it is finished-it has been renamed a few times. 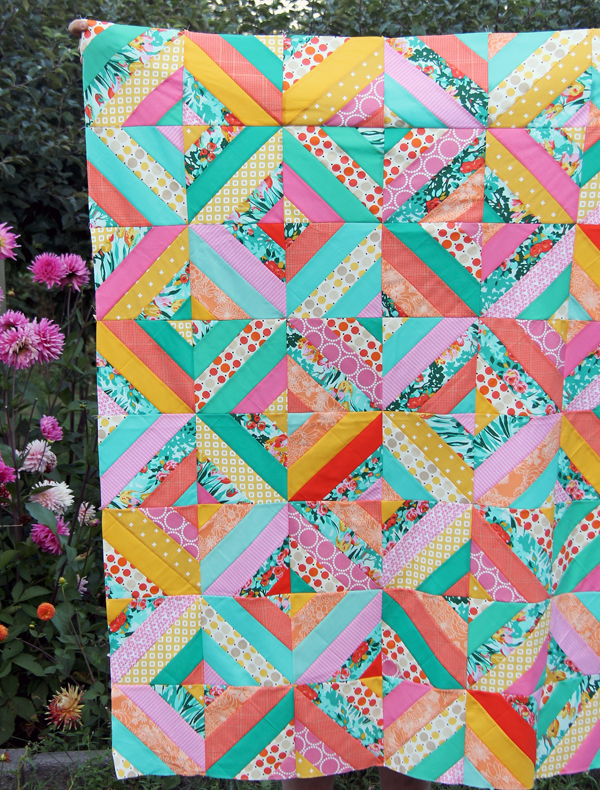 I love string quilts- yours is so cute. Love it! Beautiful. The quilt and dahlias! I am so glad to find a blog about Quilts. I have been a quilter for a while and look forward to reading more. That is a beautiful quilt, no matter is the pattern is new or old, someone is always new to quilting and would love to have a pattern and all the info they can get. Hope you will write a post on Longarm Quilting Thanks for the info. lovely quilt………….must make one like this………..